Our latest blog, part of a series on the inquest process, considers when and how a Coroner must call a jury and the role of a jury in the inquest process. As discussed in an earlier blog, an inquest is an investigation to seek out and record the facts concerning a death. The purpose of an inquest is to ascertain: who the deceased was and where, when and how the deceased came by his or her death. A Coroner will lead an Inquest and may reach conclusions themselves after hearing evidence, or in some circumstances may sit with a Jury who will then reach conclusions. This blog examines the role of the Jury at an Inquest. When will a jury be called? Where the deceased died while in custody or state detention, and the death was either violent or unnatural, or the cause of death is unknown. Where the death resulted from an act or omission of a police officer. Where the death was caused by a “notifiable accident, poisoning or disease”, such as an accident in the work place. In addition to the mandatory categories above, under the CJA 2009 a Coroner also has a broad discretion to call a jury if he or she “thinks that there is sufficient reason for doing so”. Juries, being made up of lay persons, may be more willing to return conclusions about the cause of the death that are critical of the authorities. Also, a jury presence ensures that the inquest is inherently more democratic. When deciding whether to exercise his/her discretion, the Coroner may well take into account the views of the family of the deceased, wider policy considerations and whether the facts of the instant inquest bear any resemblance to the types of situation covered by the mandatory jury provisions above. If an inquest is of particular public interest then that may also support a jury being called. The one factor that may weigh against the jury being called is if, at the end of the inquest, it is anticipated that the Coroner will have to consider a significant volume of complicated documentation which may overwhelm a panel of jurors. The jury for an inquest will consist of between 7 and 11 jurors. The jury must be selected at random and must include people who are qualified to serve as jury members in the other courts in England and Wales, such as the crown (criminal) court. As with juries in criminal cases, any risk of jury bias or unfairness should be identified before the hearing fully begins. A Coroner will normally ask the jury questions before they come in to establish whether they have any links with any of the Interested Persons involved or any party potentially being criticised. Where a jury has been called, it will fall to them to determine the conclusion at the end of the inquest once the evidence has been heard. The Coroner will set out the conclusions which are open to the jury and will give them guidance as to the test which must be met for a conclusion to be documented on the inquest form. The jury will retire once all evidence has been heard and after the Coroner has finished the ‘summing up’. The jury will then retire until they have reached a unanimous decision as to their conclusion. If a unanimous decision cannot be reached within a reasonable length of time then the Coroner may direct that a majority decision can be accepted instead, though this usually requires a significant majority in order to be valid. In certain cases, or where there are a lot of live issues, the Coroner may provide questions to the jurors to assist them in breaking down the series of issues arising from the evidence that has been heard. In controversial inquests it may be necessary to ensure that the inquest takes place with a jury. 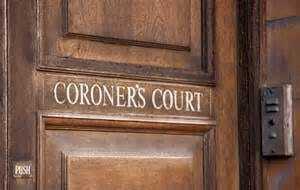 Jury inquests inherently take longer and must be dealt with very differently to a Coroner led inquest. If an inquest is being held following the death of your loved one, our specialist inquest team can advise you on whether a jury may be appropriate at the inquest, and can make submissions to the Coroner on your behalf about a jury inquest if necessary.